Sandy Springs Locksmith & Keys provides friendly residential locksmith services that are affordable and efficient. When you need emergency services, the last thing that you want to do is sit around waiting for a mobile locksmith. Client satisfaction is our goal, which means that we strive to get to you without making you wait. When you call Sandy Springs residential Locksmith & Keys, you can expect prompt, friendly service by one of our knowledgeable locksmiths. We have rigorous hiring requirements so we hire only the best because we think that our customers deserve the best. One of our most requested services at Sandy Springs Locksmith & Keys is our fast residential door lockouts. For whatever reason, being locked out happens. When it happens, simply call us at: (404) 845-7876. We provide residential door lockouts 24/7, so no matter if it is early in the morning or in the middle of the night; Sandy Springs Residential Locksmith & Keys have you covered. Our professionally trained locksmiths can easily open all locks, without damage, getting you back inside fast. When you need to replace your locks, instead of digging out your tools and hoping that you have the right tools for the job, call Sandy Springs Locksmith & Keys (404) 845-7876. Our affordable locksmiths come to your house to replace your locks, getting the job done in a fraction of the time. Skip the hassle and call us instead. If you have a lock that is not working well, it may not need to be replaced, it can probably be repaired instead. 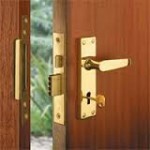 Sandy Springs Locksmith & Keys are fully equipped for onsite lock repairs. 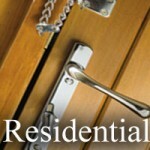 Call Sandy Springs Locksmith & Keys 24/7 for your entire residential locksmith and key needs.